In keeping with the whole organization theme and trying to get (or stay) organized for the new year, I’ve created some useful household printables that can get you started on your way to setting up a family binder or just to help make life easier. Whether you are list maker or just want a place to keep some important information together, this little package is perfect. Print it all out or just print out what you need. Make as many copies as you want! Start your day off on the right foot by creating a To-Do list. It’s a great way to stay focused! Need to check your calendar real quick about a date a few months away, this handy At-A-Glance calendar is perfect! Smart phones and computers are not always fool proof. 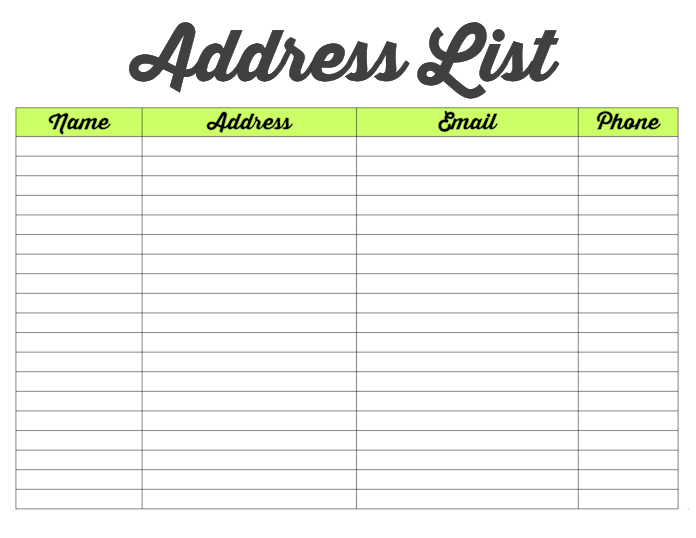 Keep a hard copy of important address, phone numbers and email addresses. One less thing to worry about on date night. 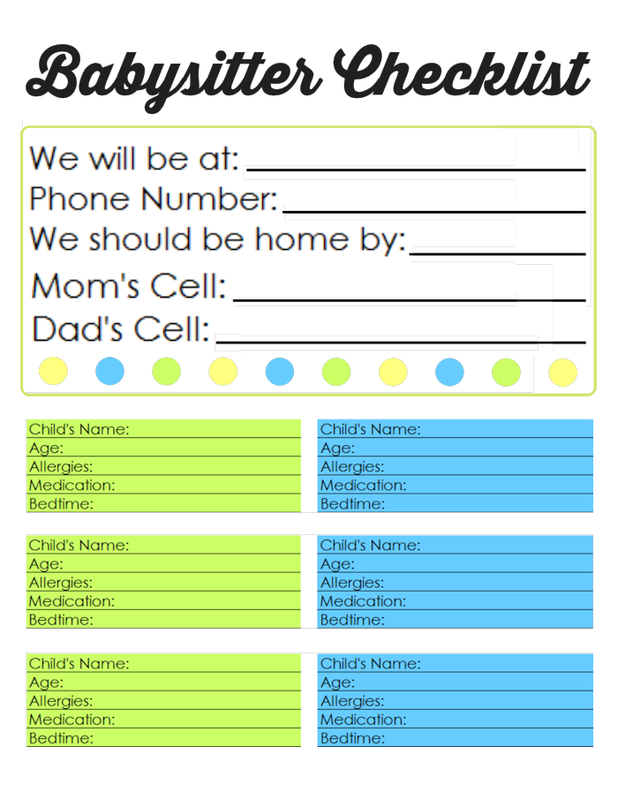 Fill this out before your babysitter arrives and she will have all of this important information at her fingertips. If you are feeling extra creative, laminate it and you’ll only have to fill out the top portion which will save you time. Tire of being horrible at remembering to send out birthday cards? 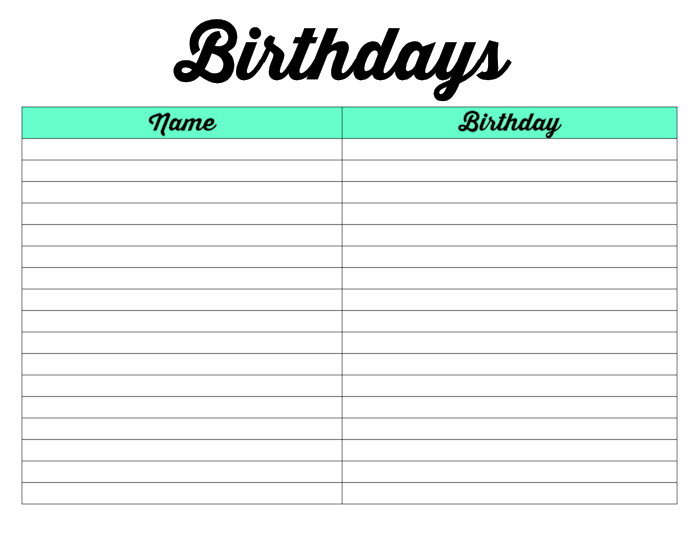 Fill this bad boy out at the beginning of the year and stay one step ahead of the game! 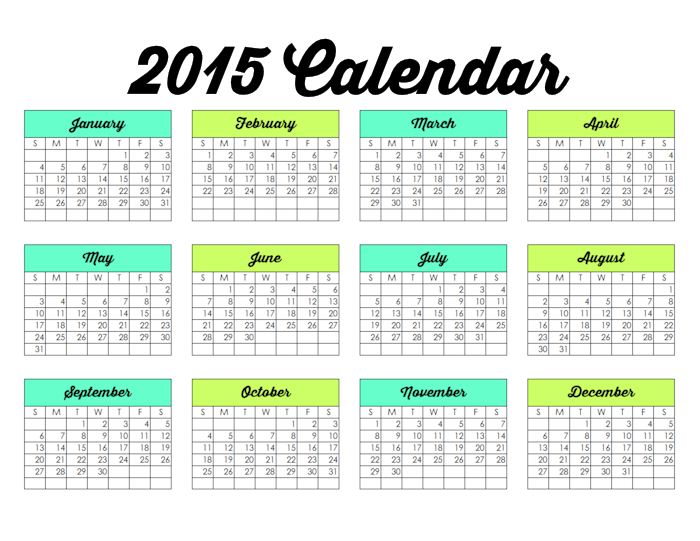 A blank calendar template comes in handy and never goes out of style. 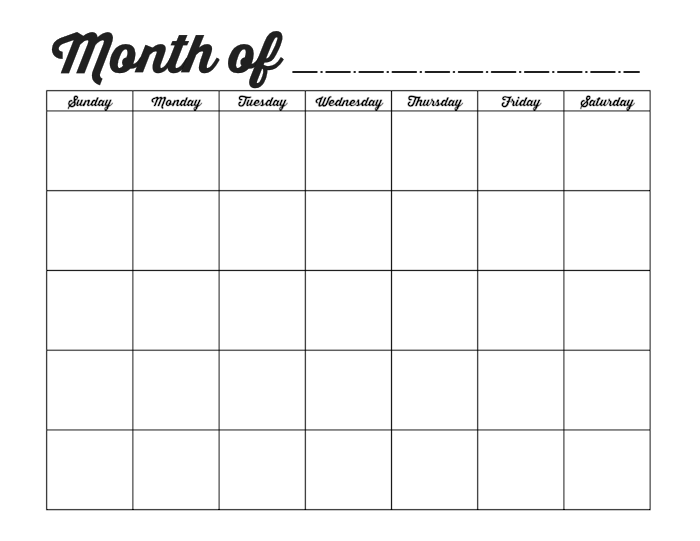 Just fill in the month and dates and you are good to go! Are you a blogger? 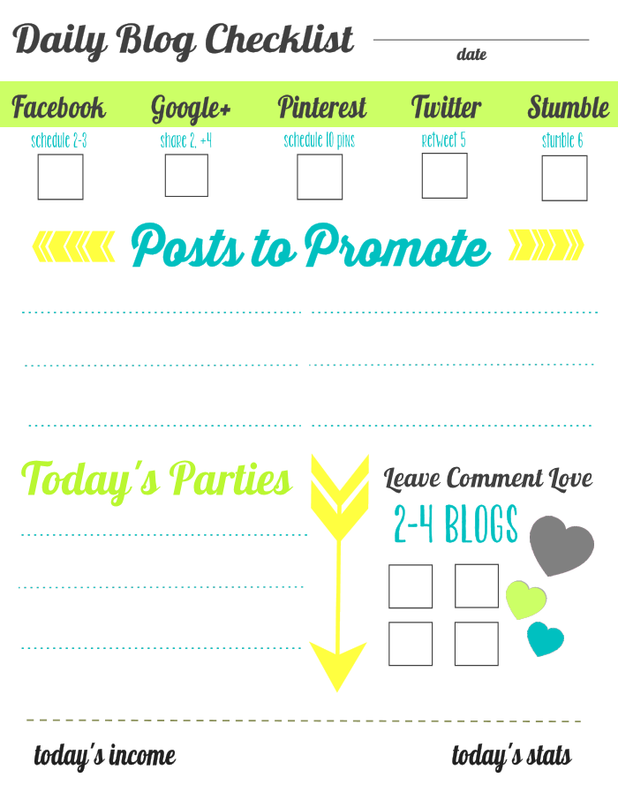 This handy Daily Checklist will help you keep track of your sharing and will remind you to share the love by leaving some comment love. Also, don’t forget to link up to some daily link parties (Like DIY Inspired right here every Friday night at 6:45pm EST) for some extra exposure for your creative goodness! If you’re like me, you can never remember what username and password you used for each site you are a member of. 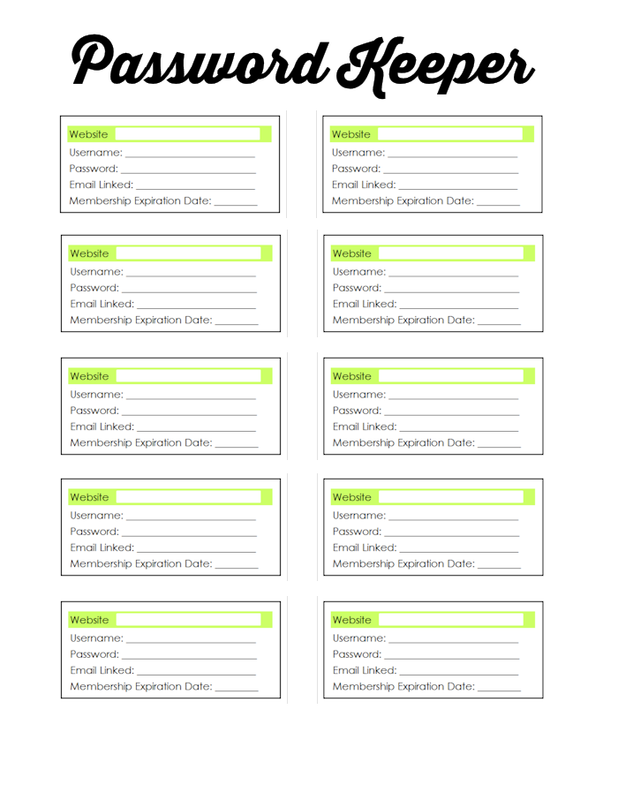 Keep it all in one spot on this Password Keeper form. 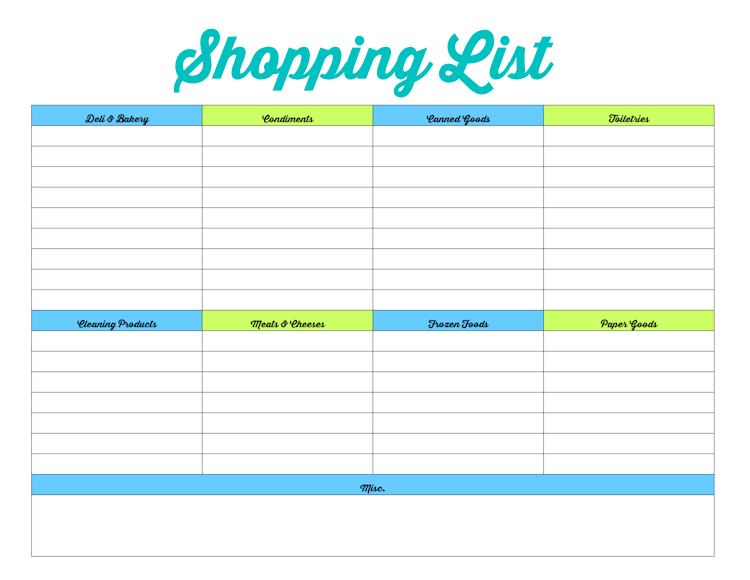 Never overspend at the grocery store again by using this shopping list. 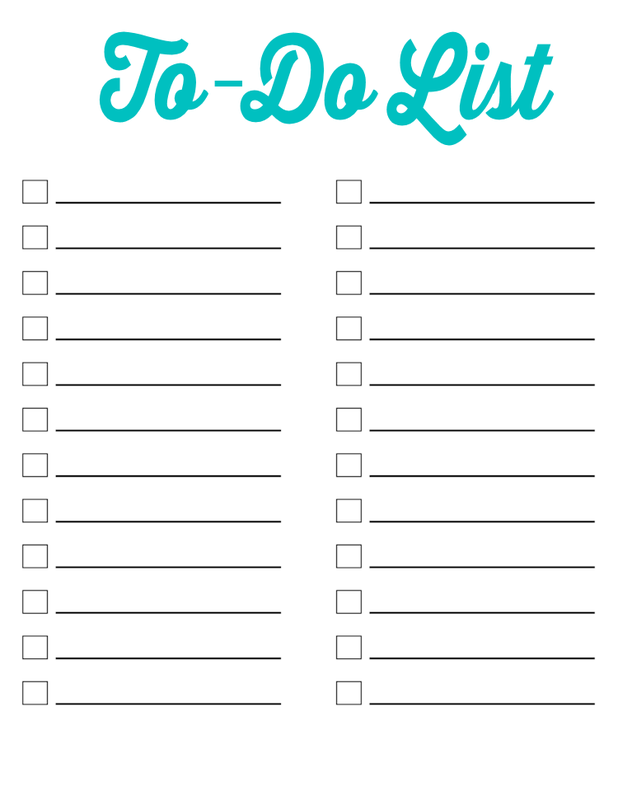 Just make your list and off you go! 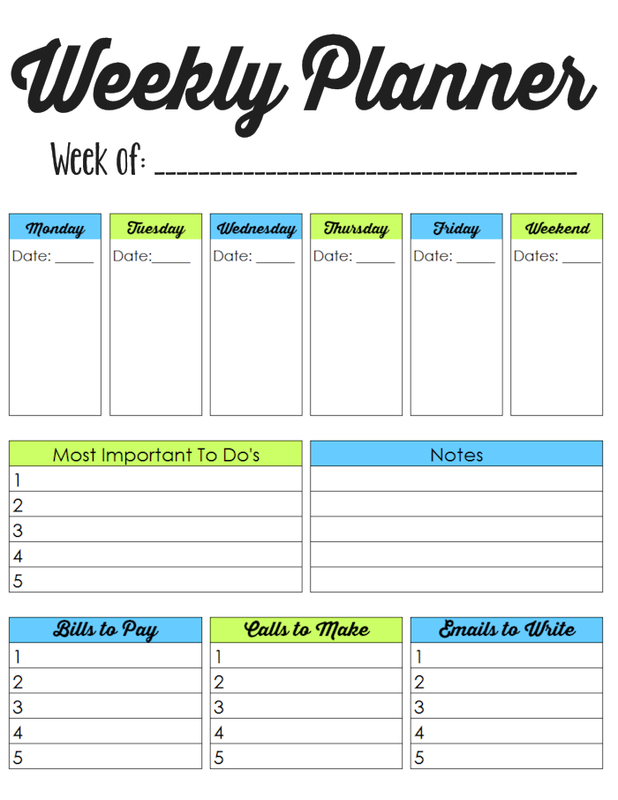 Plan your week out in advance by using this weekly planner. 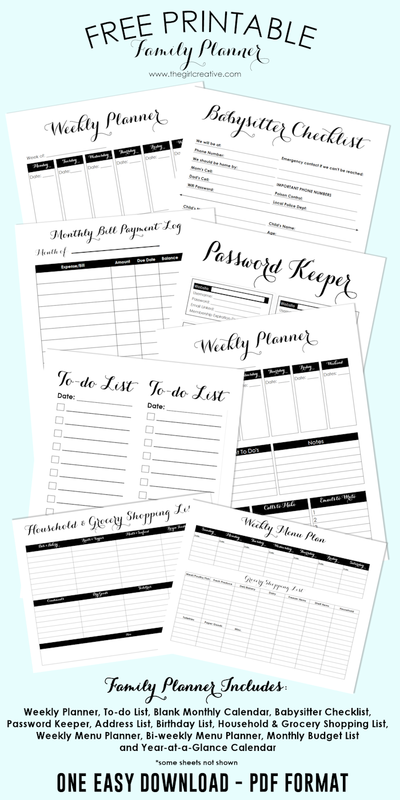 So many great household printable to choose from! Life is cray cray when you are running a household and raising kids. Anything to make our lives a bit easier is always a bonus. So. Here you go! Remember, these are FREE for PERSONAL USE. Please do not share, redistribute or sell. Thank you! *Update: Grab a new and improved updated Family Planner HERE. 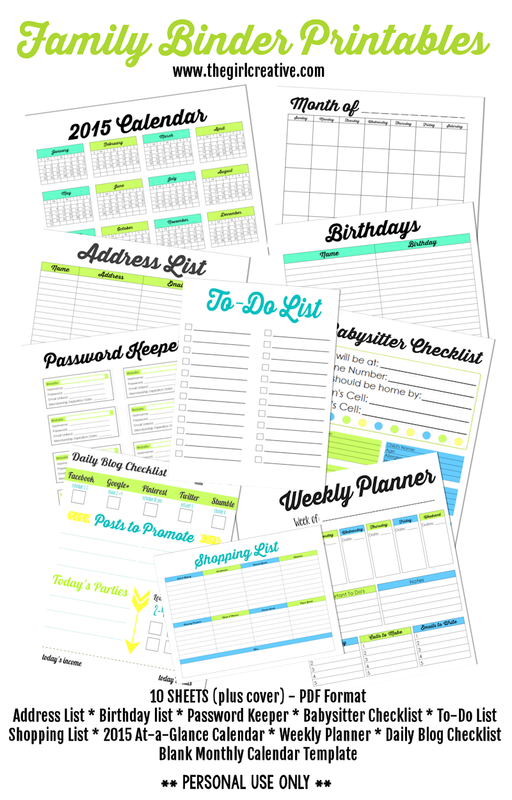 THANK YOU :) bunches for sharing some well needed printables.. I love these printables. Can I ask what font you use? I love the font. Hey Lynnette! You can't edit the design elements of the files but you should be able to add info (fill in the blanks, etc.). Hope this helps!